There’s less than a week to wait to see what Samsung has planned to hopefully recover from the dreadful sales of last year’s disastrous Galaxy S5. The company’s flagship smartphone line is set to get its next entry on Sunday, but T-Mobile have jumped the gun a little and revealed possibly the most interesting feature of the device. 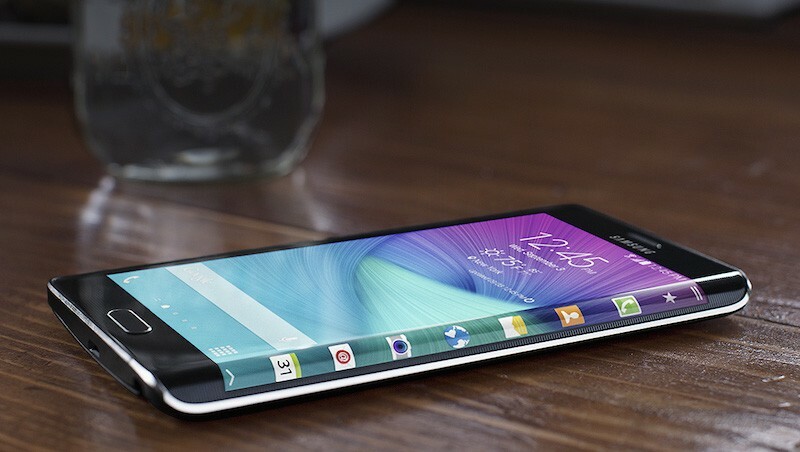 The Galaxy S6 won’t have just one curved screen – it’s going to have two. That’s clear as day in the new promotional image the international carrier tweet out this weekend, which was later confirmed by The Verge. The S6 has been feeding the rumor mill over the past few weeks, and it was widely accepted that the curved edge from the Note Edge would make its way to the new smartphone. I can honestly say I didn’t see it coming to both sides of the device however. The curved edges allow for some interesting applications, such as preserving battery life by only displaying notifications on the slanted side for easy reading. I’m not sure how both edges will now by used in tandem with the rest of the screen, and I hope Samsung has something more elegant than simply duplicating the displays based on the angle of the phone. The S6 will also be doing away with the faux leather back of the S5, in exchange for a far more traditional all-metal finish. About time too. Samsung is set to officially unveil the S6 this Sunday. HTC will be doing the same. If you primarily graze in Android pastures, then this is basically silly season for you. I felt that the HTC One M8 took the crown last year, but Samsung definitely has something to fight for. If the S6 really flops, I worry about their standing as a top smartphone producer. Let’s just hope that “Six Appeal” isn’t the official tagline for the phone. Makes me cringe every time.